Ben Smiles Memorial Foundation was founded in partner with the Community Foundation of the Fox River Valley spring 2017 by Rob & Elizabeth Gerlach close to a year after they lost their son Benjamin Robert. 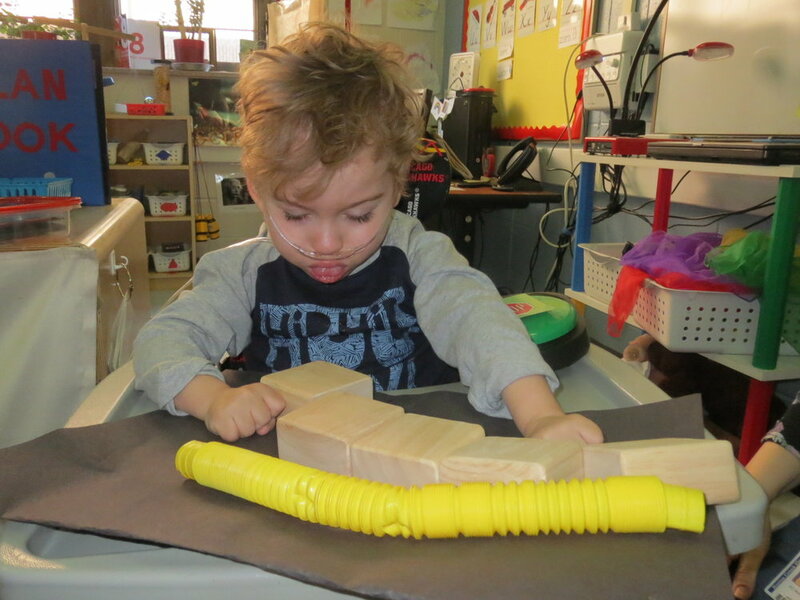 Ben Smiles is dedicated to enhancing the playing, learning and living of special needs kids and their families by gifting toys and other important devices to kids like their son Ben. After Ben died, they knew they wanted to ‘give back’ to the communities that helped him in his short life journey. Ben was a beautiful, smart boy with significant needs, diagnosed with quadriplegic cerebral palsy and epilepsy. In addition, he had a feeding tube, vision impairment, respiratory challenges and was nonverbal. Ben was learning to use many of the toys and devices that the Gerlachs hope to gift to others. Click here to learn how to apply for a toy. Read the latest blog post & news. Learn about our next event, and let us know if you want to become involved.